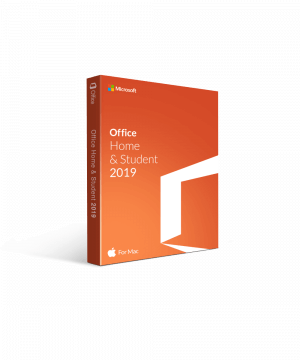 Why Buy Microsoft Office 2019 Home and Student for Mac? 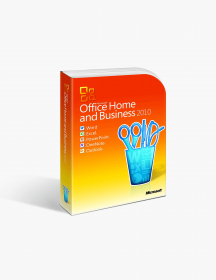 Enjoy the Microsoft applications that you are used to and love with one easy download. Complete all of your school work with this software easily. Easy to use and user friendly. This software is very interactive. Applications that you are used to with added upgrades and features. Easily share files with classmates and teachers. Includes a lot of upgrades, compared to the 2016 version. There is no skill needed to use these applications. They each will come with a tutorial to help you if you have never used them before. 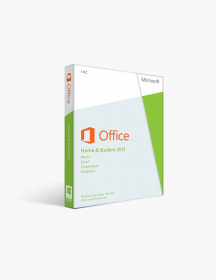 Microsoft Office Home Student is a great option for students and anyone that needs to use Office applications. Microsoft understands that it is stressful enough being a student, so that’s why they want your work to be convenient, efficient, and simple. 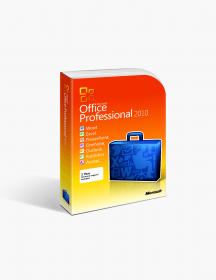 It includes Word, Excel, PowerPoint, and OneNote; giving you all of the tools you will need to create documents and presentations. It is a simple and one time download, one time purchase, and available for one Mac device. Once the download is complete, you will be able to start using the applications immediately. These applications were created with you in mind, so they are easy to use and are there to help you. Home Student comes with the applications that you already love. 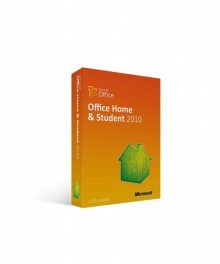 Microsoft has included all of the essential applications that you will need to succeed as a student. Word allows you to create documents, edit them as needed, and share them with others. Microsoft Word has been one of the most used writing applications since it was first released. Word includes many features, such as templates, translator, spell check, and images. Word comes with many templates ready for you to use. You are also able to create your own templates and save them for later use. With the translator feature, you can easily translate words from one language to another with one click. Spell check helps ensure that your documents have the proper grammar and spelling every time. If your spelling or grammar is incorrect, it will offer suggestions to help you correct the mistake. Word allows you to add images and shapes to your documents, which is very helpful with many different projects. Excel is the best spreadsheet program that you can download, making it easy to organize and track any data that you may need. Excel is much more than just spreadsheets though. Excel now includes many different charts and graphs, giving you plenty of options on visuals to display data. You can create data on a world map now, and show the difference from one area to the next. They have also added a funnel chart, allowing you to easily show changes in data over time. PowerPoint allows you to create stunning slideshow presentations, loaded with lots of features. You can add music to your presentation, different graphics and effects, making you an amazing presenter, even if it's your first time. With PowerPoint, the possibilities are endless for you to create a slideshow. It includes many different templates for you to choose from, or you can create your own and save them for future use. It also has a tutorial to help you along the way. With the different features and effects in PowerPoint, you can make your slideshow however you want. You can add images and even graphs and charts that you created with Excel. You can also jump from one slide to another with the click of a button. OneNote allows you to keep track of all of your notes that you may have. You can create to do lists, checklists, and even share them with your classmates. If you missed a lecture, they can share their notes with you from anywhere! With OneNote, you will no longer need to write down notes on paper with pens or pencils. You will be able to copy and paste text and keep it for yourself. You can even send checklists to classmates that are working on a project with you. With Office Home Student, you can save all of your documents and presentations to OneDrive, giving you access from anywhere. So, if you have a presentation you need to give at school, you can finish it at home, and present at school by logging into your OneDrive account. OneDrive also allows you easily send any documents to someone in no time. If you have a paper that is due, and you’re afraid you might miss the deadline, you can easily send it to your teacher with just the click of a button. If you are trying to meet a deadline and need to go somewhere, you can also work on the go. You can use a phone, tablet, or other device as well. You may need to download a mobile application if you are using a phone or tablet, and then sign into your account to access your files. One of the best features of Office is being able to share your work with others. With Office, you are able to share your work, and allow others to edit and add any information that may be needed. This makes doing group projects much easier. Many people have busy schedules, and this allows you to work together without actually being together at the same place. You can watch other people work on the same project in real time. You will be able to see the changes they are making as they make them. This allows you to collaborate easier with your classmates or professor. You can even add notes to the document or project to show someone what needs to be done and clear the checklist when it is completed. This can help everyone stay on the same track. $123.99 | In Stock Want it Now? Order and receive your download instantly.